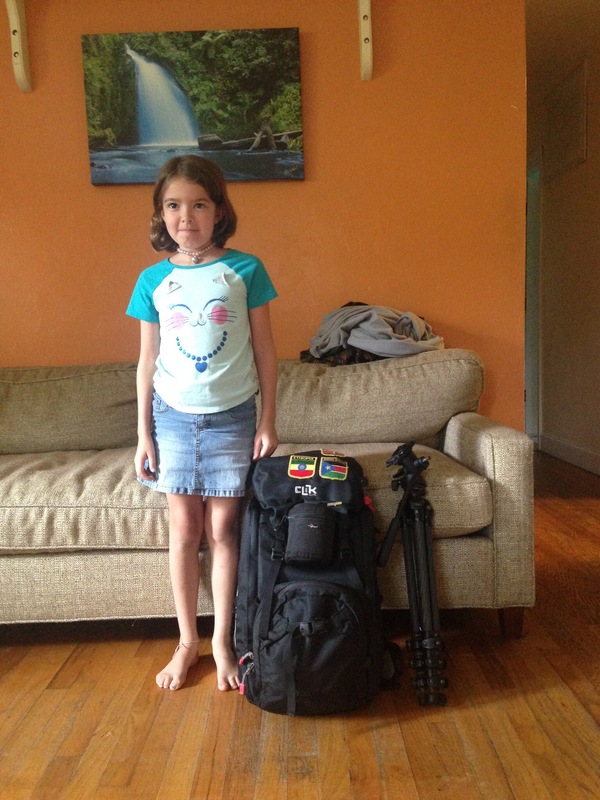 Packing Efficiently For Shooting Photos in Developing Nations. In six days I leave for Ethiopia. Each time I go to Africa, I have to reassess what I’m carrying with me. Did I use it last time? How much use was it to me? Is there something better I could be using next time? This is my tenth trip to Africa in less than seven years. 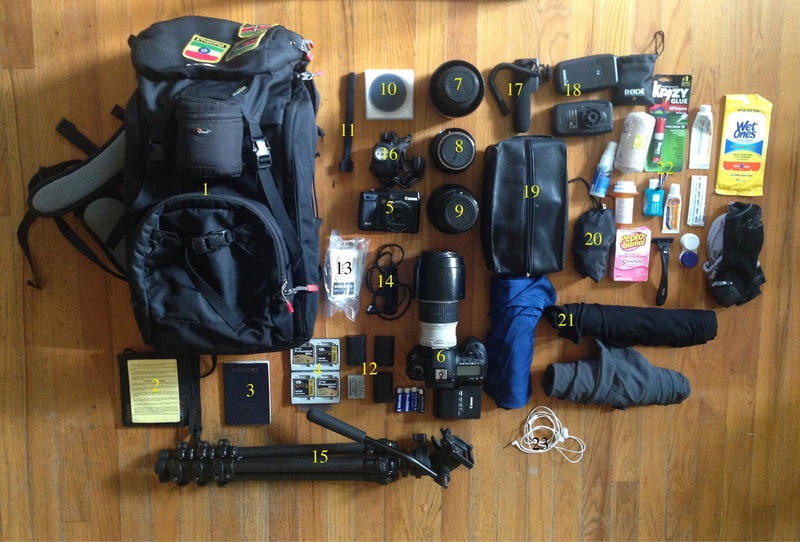 I’m a missionary, and on most trips (though not this one) my primary purpose is documentation. You may have other reasons for shooting, but the basic equipment list will be the same, except for the choice of lenses. Over the years, my equipment list has changed and I believe it has become more efficient. Efficiency is key, because most, if not all of my photographic and video equipment is carried on my person when I travel. Whether my gear is insured or not, there are certain airports I travel through where the baggage handlers seem to have particularly sticky fingers. The best prevention for theft is to never let your gear out of your sight. The bag I carry is small enough to fit in either the overhead compartment or under the seat on any plane I’ve ever boarded. With that, I’m going to go through my equipment list. Keep in mind, the type of shooting I’m doing is fairly unusual. I shoot mainly with prime lenses, so I tend to be heavier on lenses than most people will be. Nevertheless, everything going into my carry-on bag comes in at about 11 kilos, not including the tripod, which I carry as a personal item. By the way, I’m not endorsed or sponsored by any of the products I use, so if I mention it, it’s because it works well for me, and not because I’ve been bought. My carry-on gear for traveling to Africa. My backpack is a Clik Elite Escape. I’ve had it for a few years now, and it’s held up far better than any bag I’ve used before. The previous one I used was a brand I won’t mention, and if fell apart on the first trip. Yellow Fever Card. This is required to enter a number of developing nations. Memory cards and holder. Your memory needs will vary. I shoot a lot of 4k video, so I need large, fast cards. Canon G1X. This is my backup camera for when I’m trying to be discreet. It has roughly an APS-C size sensor, so I get far sharper pictures than most small cameras. Canon 5D Mk IV. Shoots 30 megapixel images as well as 4K video (or 5.5K video if you have the upgrade.) The quality is excellent, though it is a memory hog. Attached is a 70-200 mm f4 Canon L image stabilized lens. I choose the f4 lens because it weighs about half of what the 2.8 version does. Canon 135 mm f2 L lens. I shoot a lot of portraits and expressions, and this is the one for that. Sigma 35mm f1.4 Art lens. This is possibly my favorite lens. Sigma 20 mm f1.4 Art lens. Truly an astounding lens. 10 stop neutral density filter. velcro zip strips, for fastening things together on the go. Zip ties are useful also. Extra batteries for both cameras, as well as an extra set of AA batteries. Remote trigger for the 5D Mk IV. Oben carbon fiber tripod with Giottos fluid video head. It’s very light weight, and I’ve developed a technique for using it as a steadicam with the larger camera. With the video head, you can’t shoot vertical, but when’s the last time you shot a vertical on a tripod? Rode wireless mic setup, for doing interviews or if I need to voiceover a video while I shoot. Zipper bag to hold most of the stuff on the right. Toiletries, bug spray, stomach medication, antibiotics, superglue (for stitching injuries, not other stuff), ace bandage, antibiotic ointment (incredibly hard to find overseas), wet wipes (a God send when you’re traveling), band-aids (plasters to you Brits), hand sanitizer, and a contact lens case to keep small quantities of loose medication (space saver). International electrical power inverter with adapters for different plugs. An extra set of clothes for either traveling or if they lose your luggage. You don’t want to get where you’re going in the tropics and have only the clothes on your back. They will eventually evolve a rudimentary intelligence and walk off on their own. (Not shown) iPad Air 2. This is lighter than a computer, and allows me to wirelessly sync photos from my camera. The hard drive is not large enough for backing up photos, but allows me to transfer the ones I need for my writing. I recommend loading up communication apps such as Facebook Messenger, Viber, or Skype for communication back home. You should also load up a virtual private network (VPN) both for security issues on public wi-fi, but also because it helps bypass censorship issues in certain nations. Headphones, both for listening to music but also for monitoring video. (Not shown) iPad Air 2. Lighter than a laptop. I use this for writing, blogging, and communication back home. Load up communication apps such as Facebook Messenger, Skype, or Viber. Also, it’s good to load up a Virtual Private Network (VPN), both for security on public wi-fi, but also to get around censorship issues in some countries. I can also sync the iPad with my camera. It doesn’t have a large enough hard drive to back up files, but I can move over the pictures I’d like to edit for blogging. (Not shown) iPhone 5. This has a removable sim-card, so you can buy a local one for communication in whatever country you are in. So that’s all of it. There are of course variations you’ll have. For instance, many people will get away carrying a couple of zoom lenses rather than all the lenses I’m carrying, but again, that’s just my style. Also, sometimes I need to carry a second SLR camera body. This has served me well though. Hopefully this was helpful. Comparative size of the bag next to my eight year old.